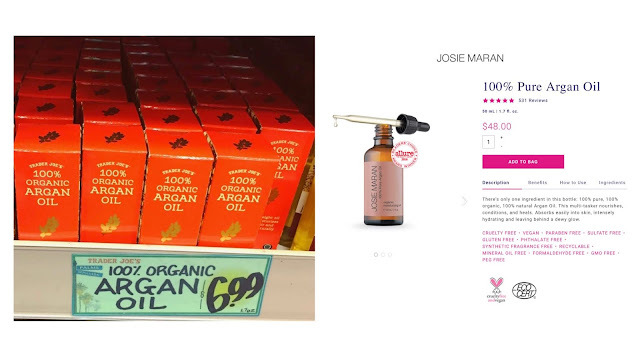 Josie Maran's 100% Pure Argan Oil is $48 for 1.7 fl oz. Trader Joe's 100% Organic Argan Oil is $7 for 1.7 fl oz. WOWZA! 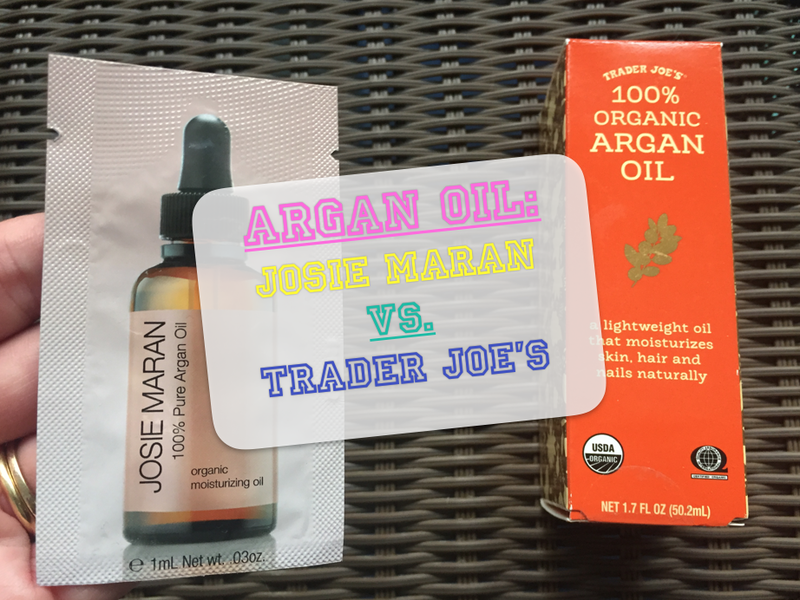 I got a few samples of Josie Maran's Argan Oil, checked the price online, and thought to myself: "The Argan Oil at Trader Joe's was NOT that expensive!" But, what's the difference? The ingredients? So, Since only Josie Maran's Argan Oil has 'Natural' Ingredients, but both have Organic, What's the difference between Organic & Natural? 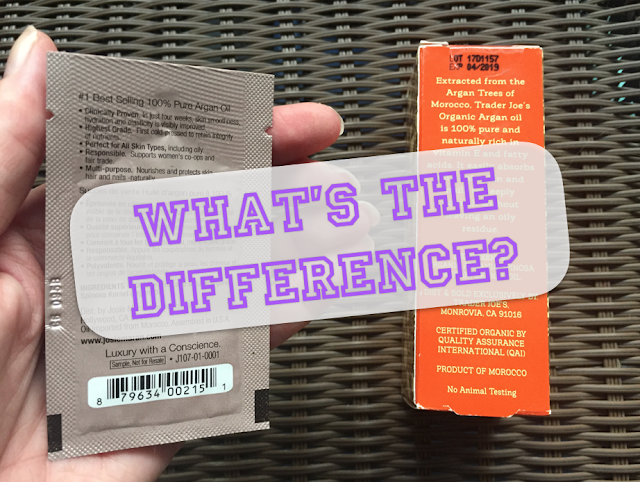 "The difference between a label of "natural" versus "organic" comes down to regulation. 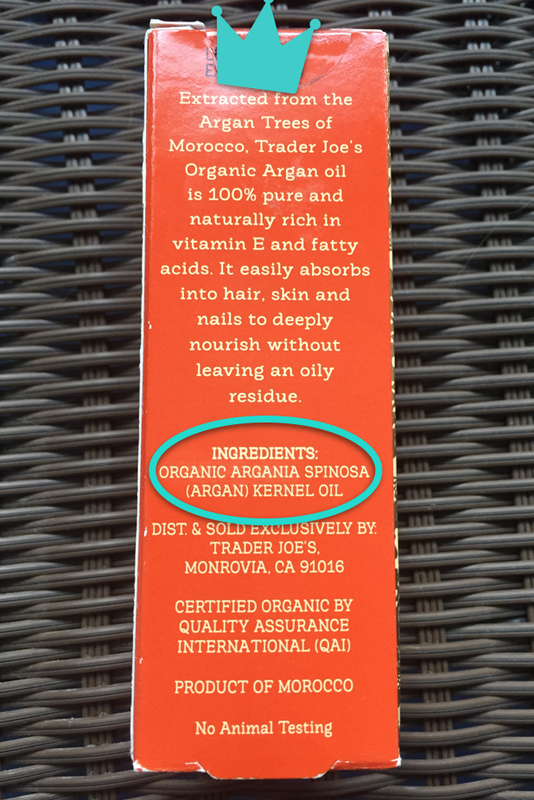 “Certified organic” is a claim that’s heavily regulated by the USDA. To qualify, a product’s ingredients must contain absolutely no toxic pesticides, toxic synthetic herbicides, or chemical NPK fertilizers—and, in the case of animal products, no antibiotics or growth hormones. On the somewhat startling flip side, there is virtually no regulation around labels of “natural” or “all-natural." In the most nefarious instances, products may simply contain plant-derived ingredients that are highly processed and potentially even harmful. Yikes." 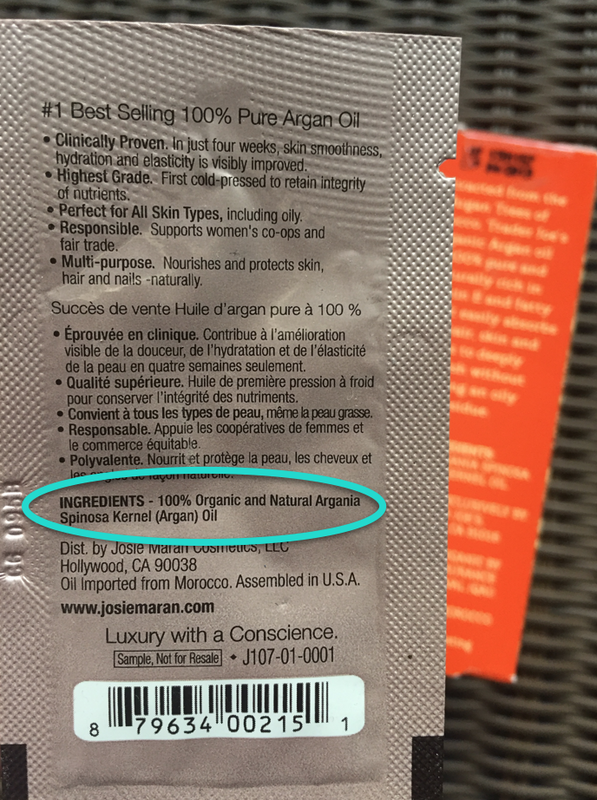 No wonder Josie Maran's label has to have "Pure" instead of "Organic" - it has "Natural" Ingredients. Well, Trader Joe's is not only cheaper, it's 100% Organic. I'd say that is better than a Dupe. It's a replacement! What do you think? Let me know in the comments below! !